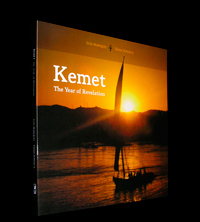 Kemet is a photography book that combines sacred art and ancient religious mysteries, presented in a spiritual tome, as never before seen by the general public in a work on Ancient Egypt. 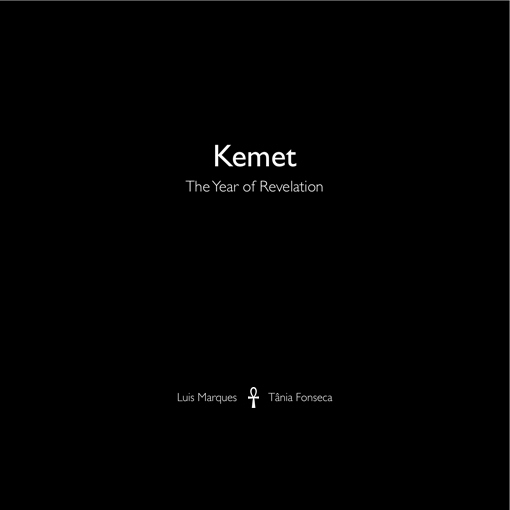 This edition of Kemet, entitled The Year of Revelation, is dedicated to the revered year of 2007, when the Aset Ka arose once more out of the abyss, after millennia of elitist secrecy and shadow. 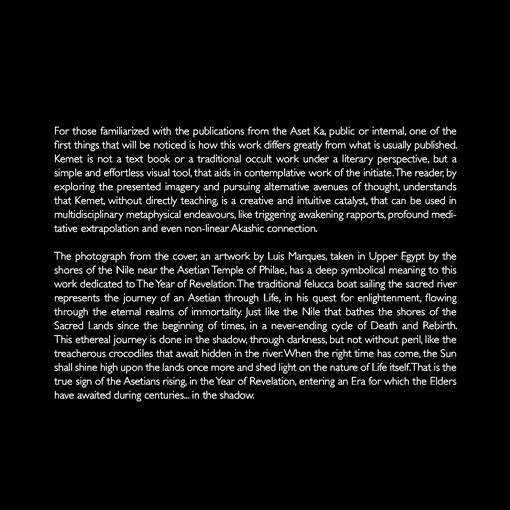 Diverging from most books on Egyptian photography, Kemet brings the Old Empire of the Aset Ka back to life, through the eyes of the very same Asetians that inhabited those realms, so far back in time. 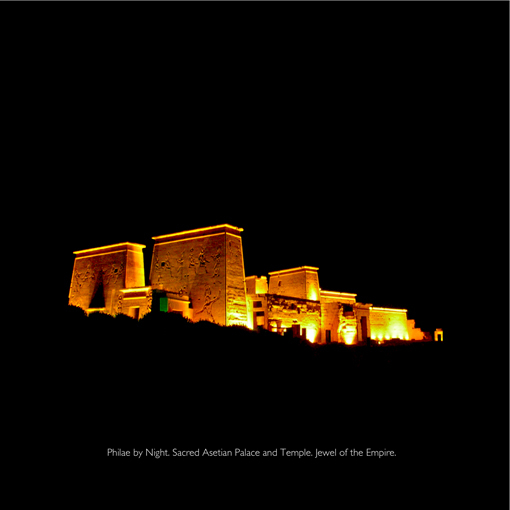 It presents the sacred lands of Egypt and its deep symbolism, by the means of carefully selected photographs, including places not allowed to be photographed by the general public, but this time taken by the hands of the Asetians themselves, during the sacramental Year of Revelation. 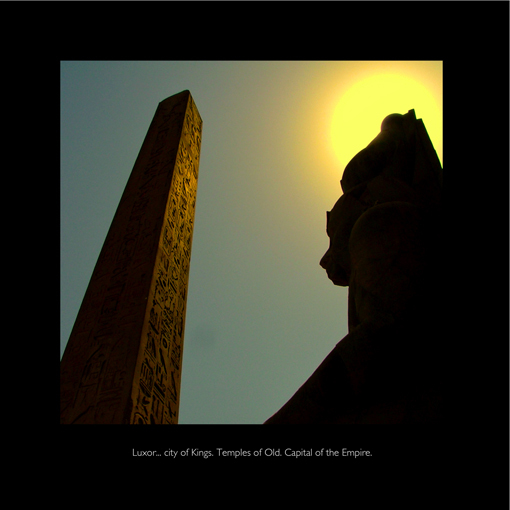 International author Luis Marques, one of the world's leading specialists in Asetian spirituality, is a renowned expert in Metaphysics and Ancient Egyptian knowledge within the Order of Aset Ka. 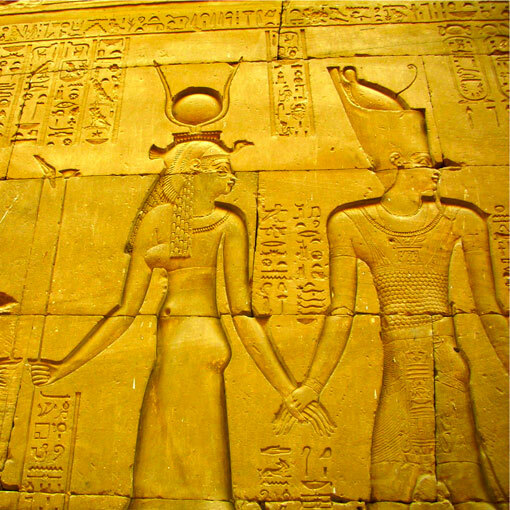 An authority in religion and ancient symbolism, he is best known for the groundbreaking literary work on Egyptian mysteries, the Asetian Bible. 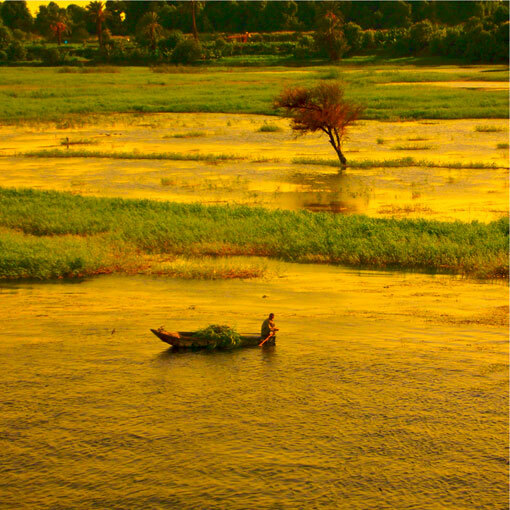 Tânia Fonseca, specialized in Scorpion Metaphysics, is a strong personality and renown reference within the structure of the Aset Ka. 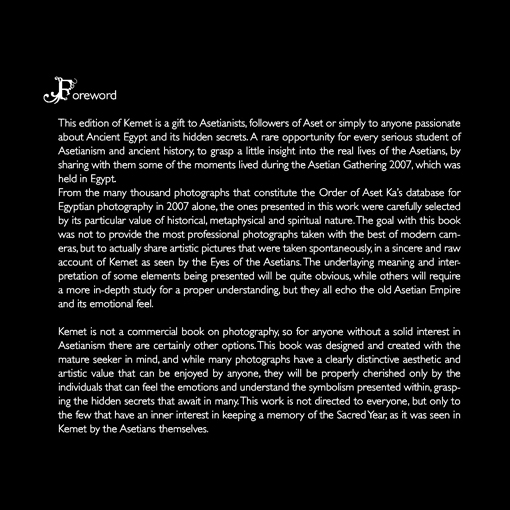 Being one of the top names in the field of design and artwork on internal projects, her emotional feel, aesthetic knowledge and inborn sensitivity were put up to the test in this work where she joins forces with Luis Marques as the photographers of Kemet.